Niki McNeil is a homeschool mom and co-owner of Hands of a Child, a company that sells affordable, pre-planned and custom lapbooks on a variety of subjects. Here is a transcript of my interview with Niki, in which she talks about the benefits of lapbooking and shares advice for teaching with lap books. My oldest Bryce is 12.5 and in 7th grade, Olivia is nearly 9, and my baby girl Farrah is 7. We've homeschooled from the beginning, so we are in our 8th year now, wow makes one feel old when you say it that way. There were are few things weighing on my heart during the time my oldest was preschool age but the breaking point was when I went to visit a dear friend who I held as the highest regard as far as parenting ability. Her son was a year and a half older than mine and had just started Kindergarten at a local private school. Well the behavior change in her son was amazing and not for the better. She must have seen the look on my face because she said to me "Send them to school and this is how they come back" and from that day forward I came to the conclusion I would not send my children to school to have that kind of peer dependency and social interaction. How did you become interested in lapbooking? I am creative by nature and my son was a hands on learner so together we set off to find a method of learning that worked for us both. Lapbooking was just the key. The biggest problem was finding units that didn't require a lot of preplanning, but at the time my girls were really young so it wasn't too much of a big deal. Though over time as they aged I found this a discouragement and in the end that is why In the Hands of a Child was formed, so other moms would not need to recreate the wheel as I had. What do you like about lapbooking? My favorite thing about Lapbooking is that all three of my children from Grades 2-7 can do the same unit and learn at their same level so I'm not teaching ALL day! My next favorite thing is the children retain what they are learning because they are doing something with all the information they are reading and researching. They are also great because they become a self contained portfolio which means there are not projects all over my house, everything fits into a file cabinet which can be pulled out for reference or for showing off. You can't beat that because if you are like me you are short on space. What are the benefits of lapbooking over other homeschooling methods? Children learn by doing something with the information, Lapbooking breaks it down into bite size pieces of information. This allows the children to really understand the information and then put it back into their own words in the graphics that goes into the Lapbook. By the end of the unit the student has a Lapbook that they are so proud of they want to show everyone and then they start telling what each booklet is about therefore reviewing the topic without being asked, what other method does that? And as I mentioned before you can use it with all age groups together which saves from teaching all day. Are there any disadvantages to lapbooking? No, some people have had some concerns because they are not creative, however, when using In the Hands of a Child products creativity is not needed. We've done all the preparation work for the moms but not for the students. What type of families/students enjoy using lapbooks? All families, even non-homeschooling, with Preschoolers and High Schoolers. Families who enjoy a break from bookwork studies or families who enjoy unit studies for the basis of their school studies. What type of families/students tend to dislike using lapbooks? Do you have any advice for families who are new to lapbooking? Don't try to be perfect, the goal is fun, learning, and let the kids do it their way. The end result doesn't have to look like the pictures or like the other persons! Just have fun going through the process and enjoying the learning! Start with a topic of high interest for the student, then move into those topics you're wanting to do for your studies. Kids will be more receptive to a new way of learning if it is something they want to learn about. What is the best way to introduce lapbooking into an existing homeschool program? Just do it. First do a fun topic of high interest, then pick a topic you will already be studying and find a unit that correlates to it, Hands of a Child has almost 300 different units to choose from. How do families who use lapbooks as their primary form of learning prevent leaving gaps in their children's education? Gaps are inevitable in any education, however with lapbooks children love learning and therefore want to keep learning and creating more lapbooks so they help students want to continue their learning on for years and years. What is your advice to families who feel lapbooks are overwhelming? Slow down and take it one activity at a time. That is what is so wonderful about Lapbooks, they break the information into bite sized pieces of information. Just do 2-3 activities per day taking 2 weeks or so to complete a unit. Why did you start Hands of a Child? We started HOAC because there were no products out there to make Lapbooking easy on the moms. I was recreating the wheel each time I created a Lapbook unit with my son and I didn't want other moms to go through the same process after seeing how much Lapbooks helped my son learn. What type of products does Hands of a Child offer? Ready to assemble Lapbook Unit Studies, almost 300 different topics now. We also offer correlating Dover Coloring and sticker books. What is unique about Hands of a Child lapbooks? We are the premiere company, the first of its type starting in 2002. We have the highest quality, the best customer service, the most complete units, as well as the most extensive product topics available of all the Lapbook units available. How do you balance work and homeschooling? This is a difficult and sometimes daunting task. The only way to make it work for me has been to school first thing in the morning until it is done, then I start working. I often lose sleep by working into the night but it makes sure schooling is a priority which needs to stay at the forefront. What is your advice for homeschool moms who are thinking about starting a business? 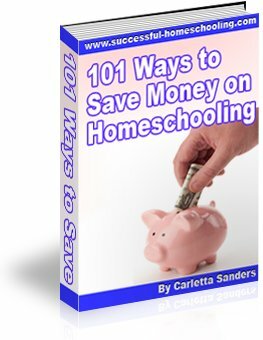 What is your advice for homeschool moms, in general? Pray and realize you are doing the best for your children no matter how chaotic it feels at times. Take it day by day and don't let little hiccups ruin the whole day. Hands of a Child lapbooks are affordable, high-quality and easy to use. The company has new specials monthly, and every quarter HOAC offers a free, downloadable lapbook on its website. Follow this link for information about creating lapbooks. Follow this link to read reviews of Hands of a Child.